Last week, Susanna Woods (Director of Sales) and I attended the annual Tech Data Partner Summit in Scottsdale, Arizona. The Partner Summit brings together 200 executives from Tech Data’s largest business partners who do business with the company’s Advanced Solutions division. Being a Minneapolis-based company, working with clients around the country, we like to say we are “backed up” or supported by Tech Data in service to our clients. Tech Data is a $37B global distribution company specializing in technology solutions and products and we procure most of our solutions across vendor lines from Tech Data. We leverage their resources for thought leadership, supply chain optimization and expansion, understanding of technology trends and more. During this invaluable four-day event, we met with executives and strategists from key technology companies to better understand where the market is moving, where these firms are investing, and how we can continue to transform our business to continue to provide superior value to our clients. We participated in eye opening 1:1 meetings and attended sessions with key providers such as Tech Data, IBM, HPE, Nutanix, NetApp, Amazon Web Services, Microsoft Azure, IDC, Veeam, Riverbed, Cisco and more (just to name a few)! 1. Cloud is not a place; rather it is a journey. Cloud is also a business decision; not a technological one. BOTTOM LINE: The journey will continue to evolve, and clients must stay flexible with regards to where they are running and supporting their data and workloads. BOTTOM LINE: Public cloud options such as AWS, Azure, GCP and IBM will continue to expand their offerings, and help support cloud-native workloads. Private clouds must continue to become more “cloud-like” in the experiences they provide for end users. Utilizing and integrating across both public and private options (i.e. Hybrid) will allow clients to have a consistent strategy and the necessary tools to focus on data placement while considering key questions like where is the right place to run and store the data, and can you quickly and seamlessly move the data when needed? 3. Security is key but is often an after-thought. BOTTOM LINE: In the new hybrid world, how do clients ensure their data is secure, whether on-prem, off-prem or both? This must be a top priority for every organization, and policies and tools need to be deployed to minimize any potential human error. 4. Digital Transformation is a key trend, but a “digital divide” is occurring in organizations. BOTTOM LINE: According to IDC, 54% of companies are “digitally distraught.” Many companies need to take a step back to map their DX strategy, and realize where they are in their journey. It’s time to realign the goals/expectations/timelines and plan in terms of horizons; Execute the transition in pieces and take some small wins to energize the team and move in a more agile manner. 5. Consumption IT will outpace traditional IT in the next few years. BOTTOM LINE: Clients are looking for pay-as-you-grow or variable billing, and there are some great solutions available. Our partnership with Tech Data is one of the most critical partnerships we have. 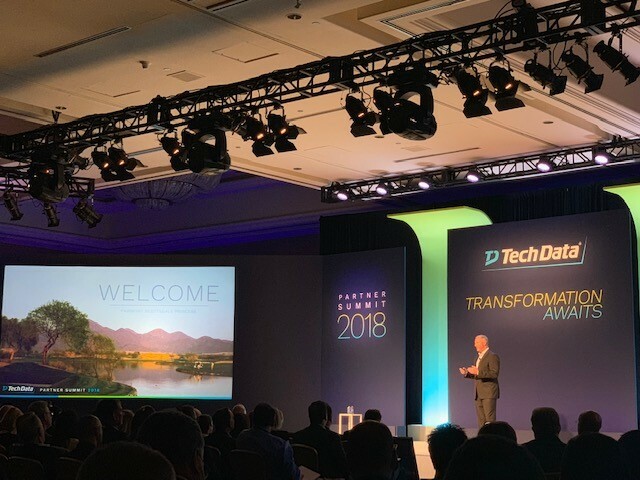 Tech Data enables our continued business transformation and global support of our clients, and events like the Partner Summit help provide us the insights needed to help map out our future strategy. More on this unique relationship can be found on our Blog. 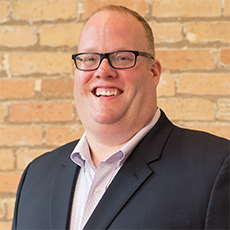 Bo Gebbie joined Evolving Solutions in January 2017 as the Vice President of Sales, Services and Marketing. In this role, he is responsible for the sales, pre-sales services, post-sales consulting and marketing pillars within the organization. He is a member of the Executive and Management Teams and represents the organization externally on vendor and partner Advisory Councils. Before joining Evolving Solutions, Bo was an IBM executive, serving last as Vice President of Server Solution Sales, North America. In that role, he had sales and profit responsibility for a $3B portfolio across Power Systems, z Systems and the Server Linux brands. Prior to that, Bo was the Business Unit Executive, Power Systems Sales, North America.